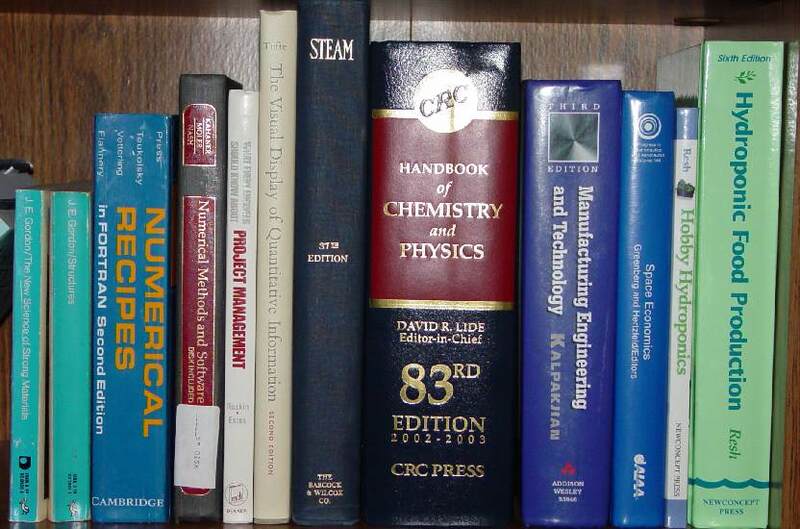 Click on links to see pictures of a set of books on a shelf. 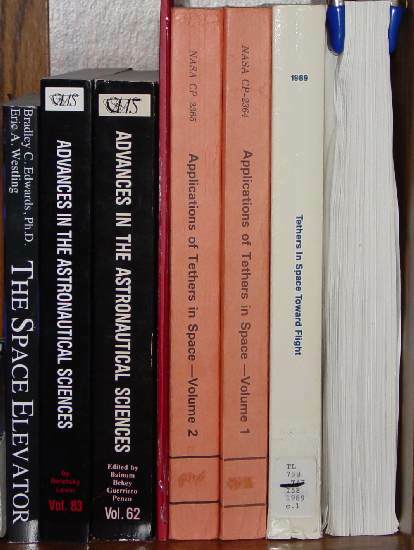 For understanding space tech, I can recommend all the books in #1 and #2, and a couple of the leftmost reentry books. Some of the history books have some tech too. My interest is in understanding how a reusable rocket and space tether could be designed to take tourists into space cheaply. 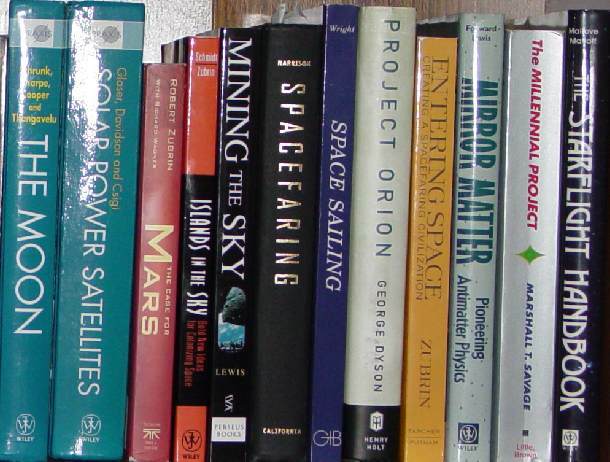 Good books for understanding space technology The one on far left is the Air Force Space Planners Guide, a favorite. 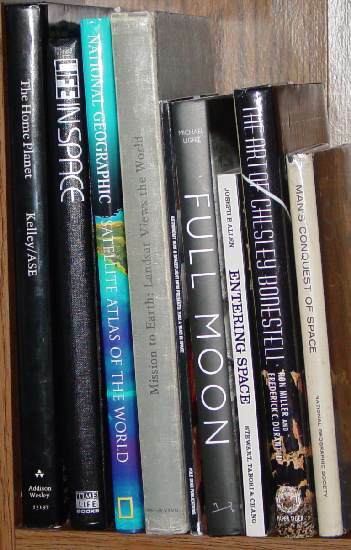 Lunar Base Handbook could be here but I put it in the next category. It is a very good book. 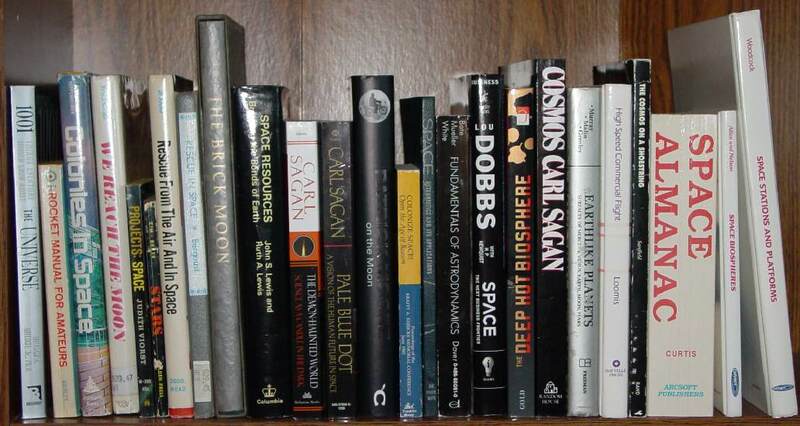 These books explain some new (at the time) technology and have a vision of the future of humans in space. 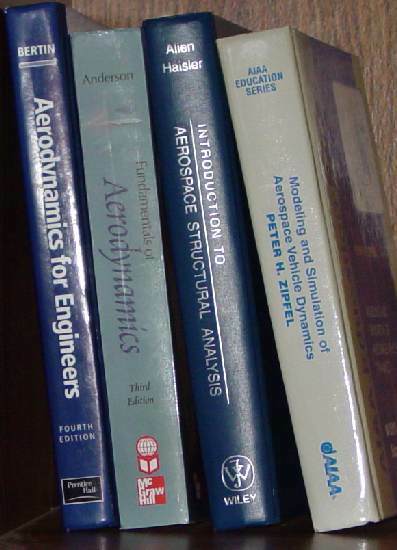 These books tend to be educational and interesting. 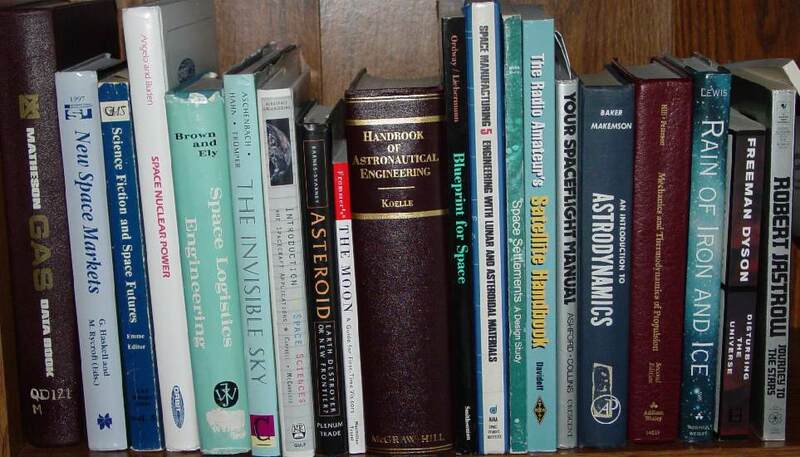 The ones on the left of High Frontier are older books, some of them very influential. The topics for the 4 on the right are far in the future. So there are 11 recent/near-term tech and vision books. Herman Oberth's "Die Rakete zu den Planetenräumen" gets my vote for most influential space book of all time. The "Across the Space Frontier" is an expansion of some very influential articles in Collier's magazine. Jules Verne's "From The Earth To The Moon" is science fiction, unlike everything else here, but some of the science and prediction is impressive for 1865 and 1870, about 100 years before men went to the Moon. For example, it has the velocity necessary to reach the moon, rockets for slowing down once they get to the moon or for returning to Earth, they take off from Florida, and they splash down in the Pacific. Good space history books and also these. Project Orion, Korolev, and Rockets Missiles and Men In Space are some favorites. Books on reentry - favorites on the left. I feel we have yet to demonstrate a really reusable reentry system. So I am particularly interested in this area. Picture books Favorites here are Full Moon and The Home Planet. For used books I have been very happy with www.abebooks.com. Almost all of of my used books came from there. For new books I mostly use www.amazon.com because they have free shipping. 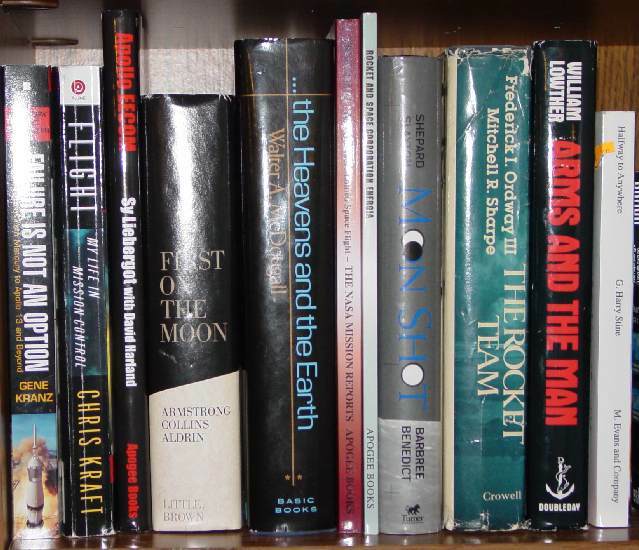 A really extensive collection of space books can be found at www.astrobooks.com, though only a few of these came from there. They give discounts if your are ordering several books at once. 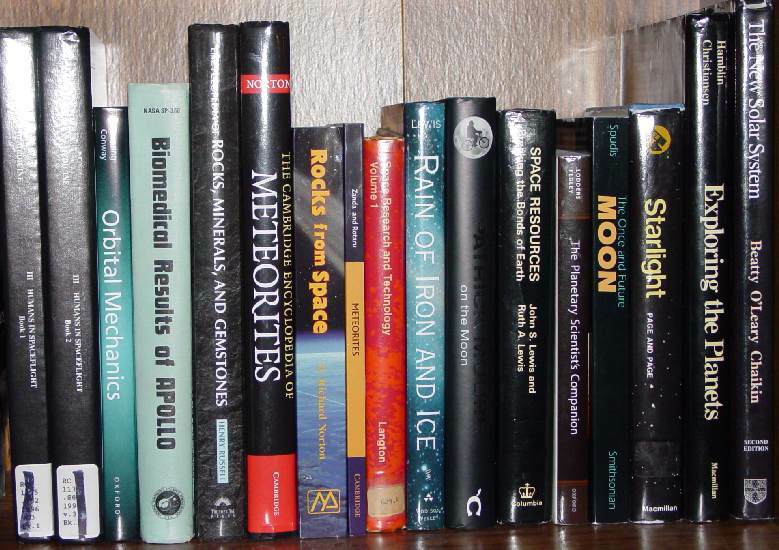 If you know of other sites recommending space books pleas let me know. 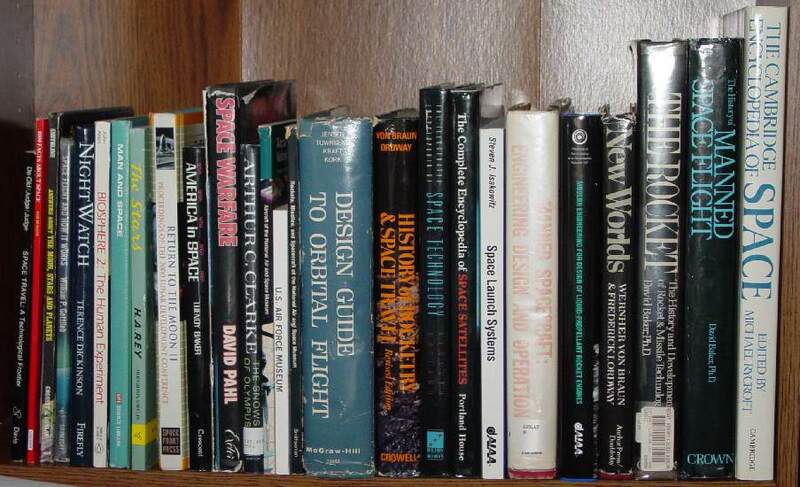 If you know of particularly good space tech or recent tech and vision type books please let me know. My email is vince @ offshore.ai and for the subject put "Space Books" so it get automatically sorted into a folder I read and not left with all the spam where it might get missed.